Most aspirants to this blog are either MBAs or MBA aspirants. Folks belonging to the latter category sit for entrance tests, which have loads of vocabulary-based questions. I have found, much to my dismay, that most students do not like learning vocab through the good old way of reading extensively. 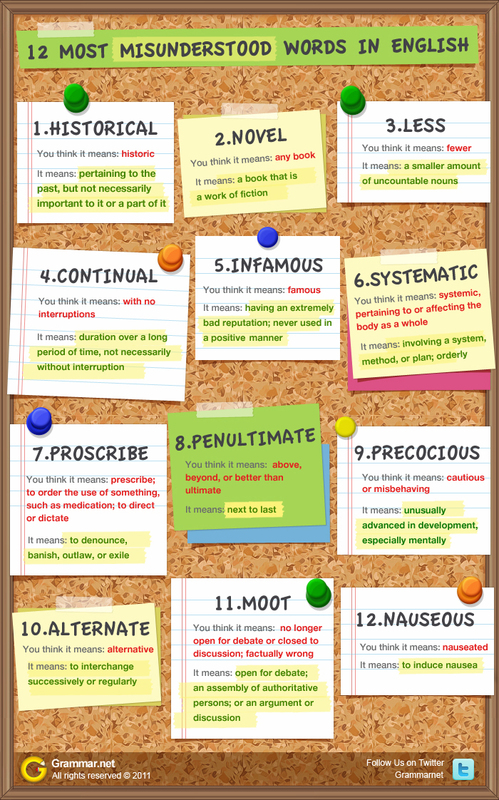 They wish to cram or mug up vocab! On the other side, those who wish to learn are often faced with the problem of understanding and using words that are seemingly easy; but scratch the surface, they often end up either misunderstanding the word (i.e. its meaning) or wrongly using the word in the right way or, worse, both. I found two interesting infographics on Grammar.net, which detail 22 most commonly misunderstood words. The lists, though not exhaustive, are very informative. Thank you so much. This is so interesting. 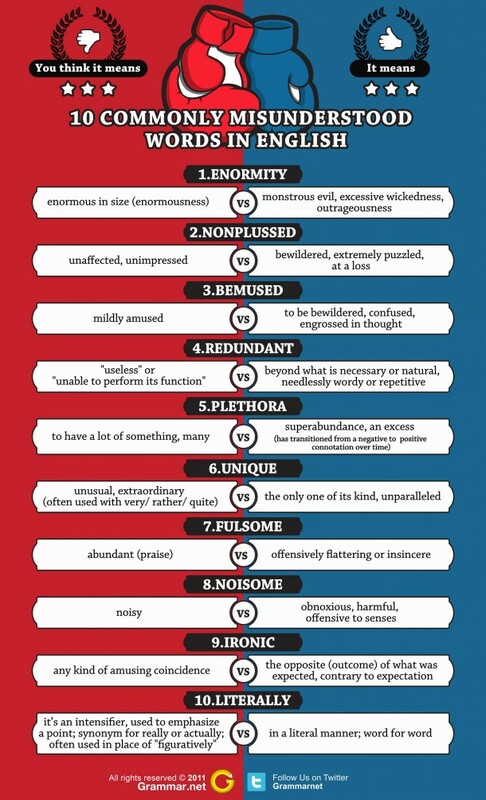 Vocabulary is undoubtedly interesting and confusing too. Learning Vocabulary is really important to learn the language.